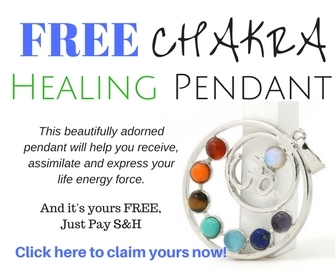 Chakra healing can help you balance your chakra system, which are energy fields in our body. It is important to make sure that they are open and in healed, as this will give us a feeling of harmony and peace. But are some of these energy fields closed, it may give us problems in many different ways. 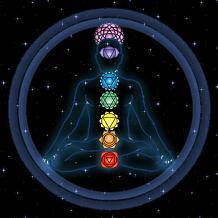 Each chakra is the location of some of our characteristics and personal identity. So if a chakra is closed, it may show in you holding back in that area and not feeling comfortable about it. For instance if your heart chakra needs healing, you may not allow yourself to feel or receive love from others. By performing chakra healing meditation it can help you regain that balance so that you are not holding back any of your characteristics. The first chakra is the Root Chakra. This is our foundation and what creates a feeling of balance and stability. The colour of this chakra is red and it is located at the base of the spine. The second chakra is the Sacral Chakra. This is where we find creativity and psychic energies. The colour is orange and is located just below the navel. The third chakra is the Solar Plexus. This is where our spontaneity and energy is located. It is also the location of our will-power. The colour is yellow and is located between the heart and the navel. The fourth chakra is the Heart Chakra. This is the location of love and unconditional love. It is our ability to give and receive love. The colour is green and is located at the heart area. The fifth chakra is the Throat Chakra. This is our ability to speak and be heard. Our ability to express ourselves verbally. The colour is blue and is located at the throat. The sixth chakra is the Third Eye Chakra. This is our window to the paranormal and spiritual world. 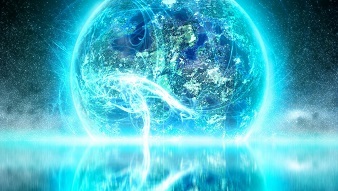 It is connected to our psychic abilities. The colour is indigo and purple and is located in the middle of the forehead. The seventh chakra is the Crown Chakra. This is our connection to the Divine and Higher Self. It is the closest we are to our spirituality. The colour of this chakra is either purple of white and is located on the top of our head. 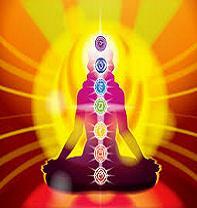 Chakra healing is a meditation, where you will work on opening and balancing your system. You should work on each chakra for at least 5 minutes. Find a comfortable Posture and take a moment to get comfortable and relax. Close your eyes and take a long deep breath in through your nose. Locate stress and tension in your body and let the air heal that area. 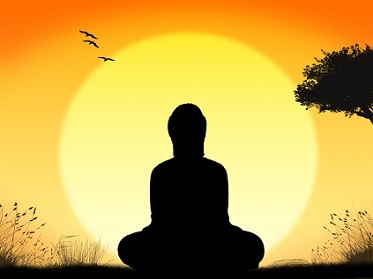 Imagine that you are breathing in healing air that removes all your worries from your body as you exhale. Now take another deep breath and guide the air to your root chakra. Visualize the air as a bright red wind and see the air enter your root area and let the air fill the chakra with its light and love. Feel the vibrations of the strong light. Let the red colour of your root area get stronger and brighter with each inhalation you take. When you exhale, you are exhaling dark and unclean air and removing it from your chakra. Move up to your second chakra, which is the sacral chakra, and repeat the process. Breathe in the warm and healing light, and now let the air be a warm orange colour. Guide the air to your sacral area, which becomes brighter, stronger and healthier. Take your time and do not rush the steps. Take your time to really feel the changes in your body's energy system. Continue to breathe into your sacral chakra till all dark and polluted spots are gone. Continue this exercise and heal all of your seven chakras so that you are creating balance and harmony between them.